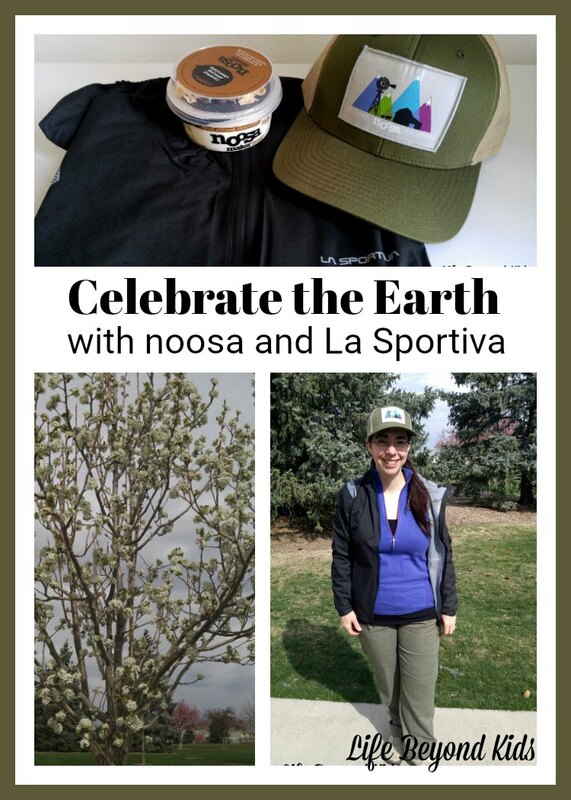 Celebrate the Earth with noosa and Sportiva was made possible with product from the brands for an Earth Day campaign. All opinions are my own. Earth Day comes around each April 22nd. While it is a day that gives me pause to consider the wonderful Earth we share, I do strive to make choices that support our planet every day of the year. My love of the Earth is why I was thrilled to be part of this campaign featuring 2 earth-friendly companies: noosa and La Sportiva. When I am able, I adore being outside. There is something about breathing in the fresh air that really helps to rejuvenate me. 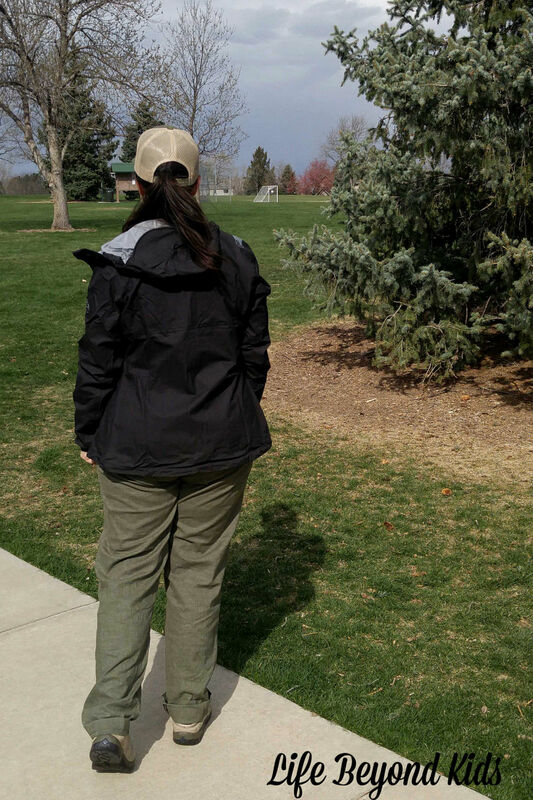 One aspect of our rental in Colorado is the close proximity to a park with walking paths. 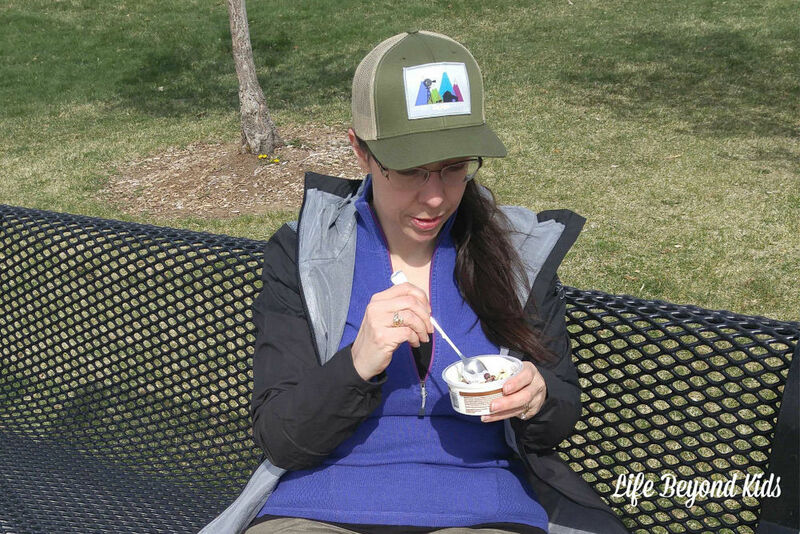 This is an easy, quick way for me to get that outdoor time into my day. 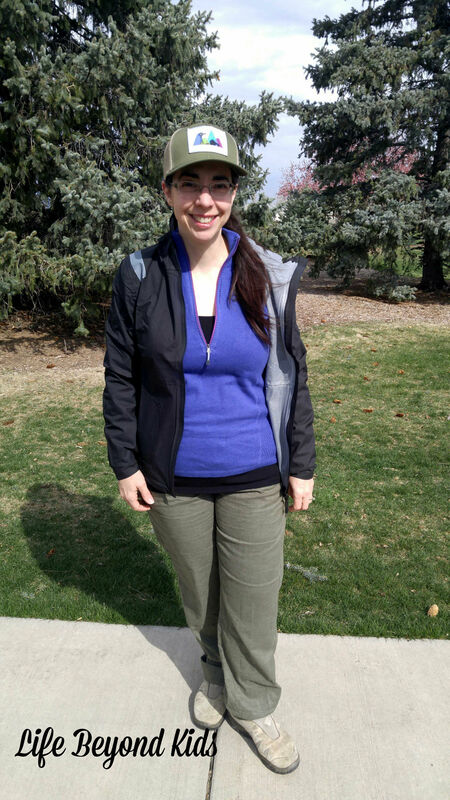 With rain in the forecast, I was glad to have a La Sportiva Hail Jacket on hand. This is an ultra lightweight, versatile, waterproof shell designed to be easily stowed and quickly deployed. This jacket amazes me with how light it is! Unlike other jackets, I do not expect this one to take up much space or add significant weight to my backpack when hiking this summer. With the underarm venting, I should stay comfortable in the warmer Colorado summer weather. An added bonus is knowing La Sportiva is constantly innovating and refining their product line to reduce environmental impacts and to provide better products. High tech plus a consideration for environmental impact is a huge win in my mind! If the weather is cooperative, I enjoy having a snack on one of the benches. Mornings are quieter at this park and a great space to collect my thoughts. Plus, I can appreciate the beauty around me. noosa yoghurt is a favorite option, especially the noosa mates with stir-ins that provide added texture. This company produces small batches on a family farm in Colorado with wholesome ingredients. They use all-natural whole milk from happy cows, fresh fruit purees, and a touch of wildflower honey for sweetness. Plus there are no GMOs and they reclaim the water used on the farm. Join noosa’s Cream of the Crop Fan Club so you can stay in the loop on all things noosa! 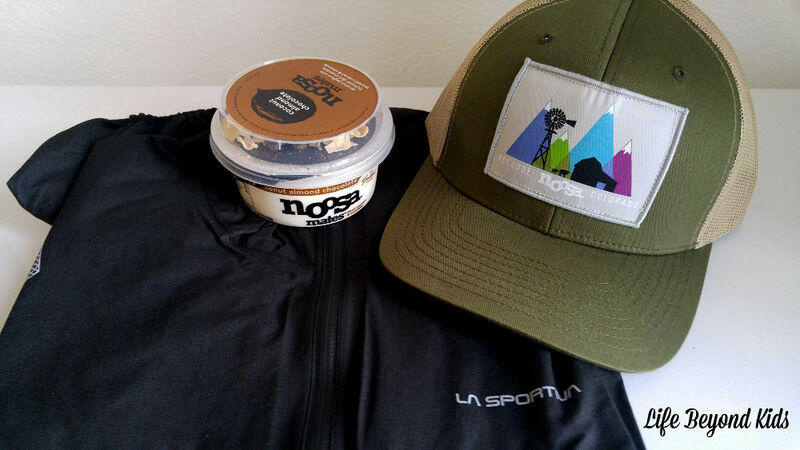 I’m so glad to know that purchasing products from noosa and La Sportiva are a good way to keep living a ‘green enough’ lifestyle. 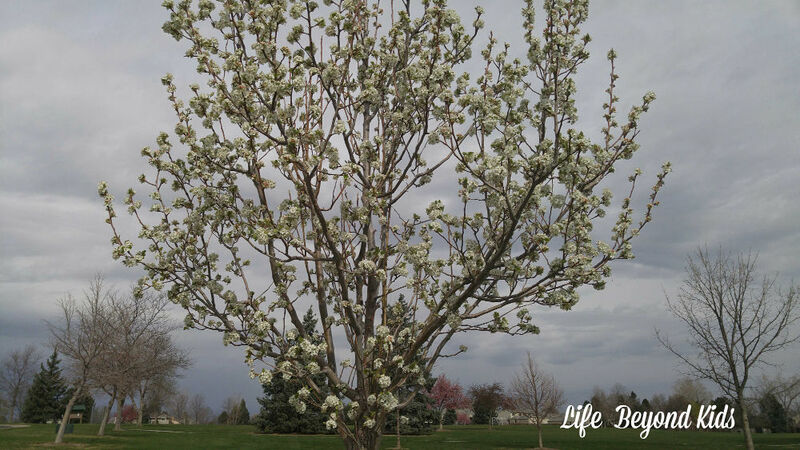 Here is to enjoying the buds of spring and many days to come. What are some ways you celebrate the Earth on Earth Day or any day of the year?